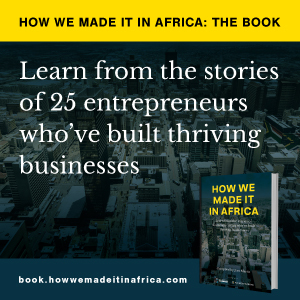 Thomas Gottschalk is CEO and founder of Mobisol, a German-based international company that engineers, develops and delivers rent-to-own solar home and business systems, appliances and services for emerging economies. As a business owner leading a swiftly scaling international company in emerging economies, the actual “toughest” challenge is to accept that tough situations are part of the business, and to view these challenges with a positive attitude, and as a driver of innovation. Our first real challenge was to demonstrate to external actors that off-grid solar is the way to go: in the start-up phase, we had to put a strong emphasis on explaining to investors, donors and political multipliers that there is a large, willing-to-pay market for solar in sub-Saharan Africa. Also, there was little interest. But tackling the challenge has paid off: today, off-grid solar is a mainstream topic covered in the media, and investors are competing to buy in. For Mobisol, it certainly paid off to be one of the pioneers in the market, as we were able to optimise our solar hardware continuously. And [Mobisol] recently launched the innovative software suite, “Paygee”, for third parties that we have been developing over seven years. At a time [when] other solar providers are entering the market, we are ready to partner up to provide other companies with field-proven solar technology and software, and enable them to profit from our… experience in order to scale swiftly. The most important lesson I’ve learned from this is that it is important to believe in your vision: from the onset, we at Mobisol believed that off-grid solar – done right, with proper financing, high-quality components and comprehensive maintenance – is the answer to Africa’s energy access challenge. I am most proud of leading a highly enthusiastic and innovative international team across three continents that basically shares one vision: to provide our customers in remote regions of emerging economies with energy access, and products and services that make their lives better, without harming the environment. This has always been one of the most rewarding aspects of the business: to demonstrate that improving people’s living standards is possible without repeating the environmentally damaging effects industrialisation has had in the global north. [Also], to show that sustainable and environmentally friendly solutions are economically viable, and that people do indeed want, need, and are willing to pay for energy access. And more than that: Mobisol customers use their solar home systems to acquire an additional, incremental income. Our surveys have shown that over one third of our customers are creating income using their systems – Mobisol clients, for example, operate small shops [using] their solar systems, sell cold drinks, charge their neighbours’ mobile phones for small fees or open solar-powered barber shops. I guess my fascination for almost every aspect of the business. As an environmental engineer, I love working with the engineers’ team on new optimisations of the solar hardware. I enjoy working with the product management and innovation teams on developing new products and software solutions, and presenting our vision to investors, politicians and new partners. And I truly love going out to the field to talk to our customers about their needs and inputs to optimise products. I do believe a good CEO should have a genuine interest in the business in its entirety. But, with the business expanding swiftly, I realised that the start-up phase tendency to get deeply involved in many aspects was not a sustainable, manageable duty anymore after we reached a certain size and complexity. My solution was clear: together with a team of experienced advisers, we restructured the company to allocate stronger competencies to the heads of departments and my representatives. This has been a positive development not only for Mobisol; I am now overseeing all major decisions without getting too involved in smaller issues. At the same time, I have more time to focus on Mobisol’s future strategic vision, and, importantly, to spend more time with my family. The main conventional business wisdom I strongly disagree with – and that I have heard over and over again in the German context – is that Africa is too poor, too technology averse, or too risky a market. Our customers at the base of the economic pyramid are clearly not too poor to afford our solar systems. In order to make high-quality solar affordable to lower income communities, we are selling our systems on a payment plan over a period of four years, whereas the monthly rates are based on what people traditionally spend on energy sources such as batteries and kerosene. Customers pay off the rates via mobile banking – and, after that, they own their personal electricity source. Technological innovation is a huge part of our business. We’re piggybacking on the massive mobile revolution – mobile phone subscriptions in Africa have increased from 16.5 million in 2,000 to more than 650 million today. That enables customers without bank accounts to pay off instalments via mobile-banking services such as M-Pesa. The GSM network [enables us to] communicate with and remotely monitor our systems in the field, to optimise maintenance procedures, or temporarily turn off systems in case of theft or overdue payments. Access to electricity is a precondition for economic development in sub-Saharan Africa. You might enter a “risky market” when you are trying to sell fidget toys or cheesecakes here. But in contemporary Africa, politicians, investors, entrepreneurs and rural customers have all understood that providing affordable, sustainable, and reliable energy access is smart, necessary, and economically viable. Growing a team from scratch to over 1,000 people, and raising a start-up to a well-respected brand in East Africa has been a steep learning curve. And certainly, there is a lot that I would have appreciated to have known before. However, the most important learning we internalised in the first year of prototyping and piloting [is that] it’s not enough to engineer hi-tech solar products in Germany. It’s… [important] to get out and listen to and get to know your customers. That is, to go out to the field to get to know the market and our customers’ needs, abilities, and challenges. If the product is reliable and responds to a real need, you will find a huge market, even in areas many people would not have expected. Many. I love the idea of “doing business for good”, bringing products and services to people that contribute to their most pressing challenges and satisfy the most basic human needs: electricity – but also water, health, education, housing, nutrition, and gender equality. We are always looking for ways to include those other basic human needs in our product and services portfolio: we are piloting solar water pumping, and are providing existing customers with health insurance, as well as powering health centres. We have been developing an optimised low-cost, solar-powered school computer lab and are illuminating schools. We are starting to work with housing companies to include sustainable lighting concepts. We are piloting productive use appliances for small-scale agriculture, such as drip irrigation and solar-run mills, and we are creating productive use DC appliances specifically geared towards women entrepreneurs. And I am not talking about charity or development projects that are traditionally limited in time and geographic focus. The most pressing issues for human beings will most likely not be solved by external donors coming into emerging economies on a limited contract; they will be solved by customer-centric design, through putting the customer first and developing ecologically, economically and socially viable products and services.